Are you around the Cremorne or Mosman area in Sydney's Lower North Share after a long Saturday morning inspecting real estate or catching up with friends before a movie at the Hayden Orpheum Cinema? 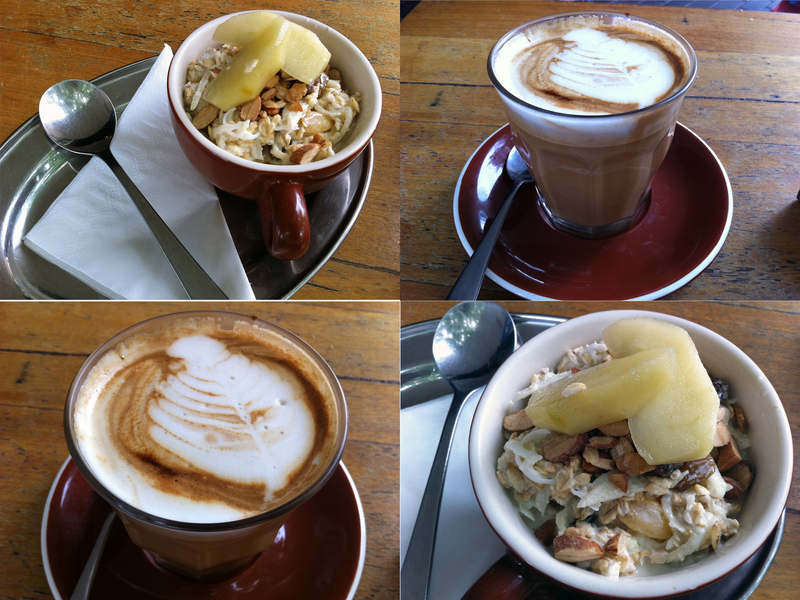 Then head to The Espresso Room for good coffee and wholesome bircher muesli. You'll only stumble this little gem in the Lower North Shore if a local in the area tells you about where the best place is to go and get your morning coffee. At first, the name 'The Espresso Room' rung a bell in my head as there is coffee shop with the same name in a beautiful leafy London suburb called Bloomsbury, known for its garden squares, the famous British Museum, wonderful Georgian architecture homes, medical institutions and the University of London where I completed by postgraduate legal studies a couple of years ago. 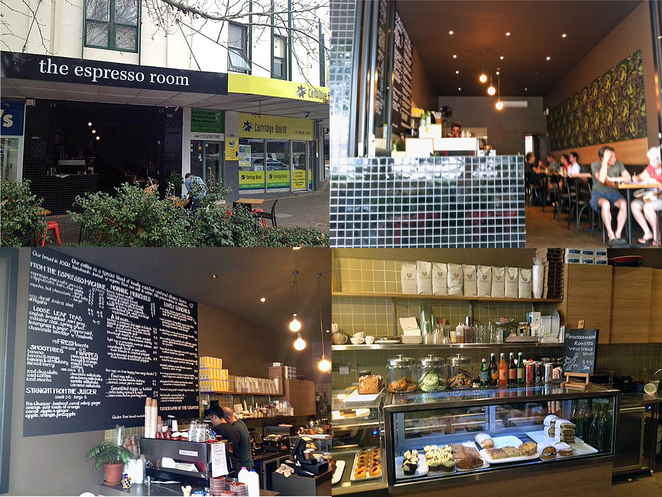 The location of The Espresso Room in Cremorne bears no resemblance to its pretty namesake café in the UK. Instead, the establishment is nestled just off the notoriously busy Military Road. If you go alfresco, you can sit and daydream about owning your new Audi or Mercedes model, with showrooms conveniently just across the road. The Espresso Room is also located opposite the Hayden Orpheum Cinema, a 1930s Art Deco cinema that has interesting non mainstream flicks (the last one I saw there was the best worst film…ever, 'The Room' which is such a bizarre interactive spoon throwing experience that has its own cult followers – you've just got to go for the experience next time it's on, but you can get a glimpse of what it's all about as it has been reviewed by Weekend Notes before). I have a thing for bircher muesli and I'm on a quest to find the best bircher muesli in Sydney.The Espresso Room's bircher is high quality and refreshing, served in a large cappuccino cup. What's in The Espresso Room's bircher muesli? Poached organic apple pieces, crunchy walnuts, coconuts, sultanas, and almonds. If you are not that hungry then the bircher muesli is a light enjoyable breakfast. If you're feeling peckish, then try something else to fill you up, like the chicken avocado sandwich. Coffee is good here. My usual benchmark for good coffee is people traffic at the establishment (which it had) and in taste, the coffee is not bitter. Unobtrusive, which is great for uninterrupted reading of the Saturday paper. Seats outside are within easy viewing distance of the wait staff so it wouldn't take that long to wave someone down if you needed service. There was a well dressed middle aged lady in the next table who did seem unsatisfied (little on the unreasonable side in my opinion) with everything she got…perhaps a bad day, maybe lost out at auction on that million dollar prime real estate in the area or something. Nevertheless, the wait staff was very attentive to her needs. Overall, The Espresso Room is a simple, comfortable little place to hang out to read the Saturday paper whist sipping coffee and having breakfast if you are in the area. Quirky presentation putting the muesli in a mug.